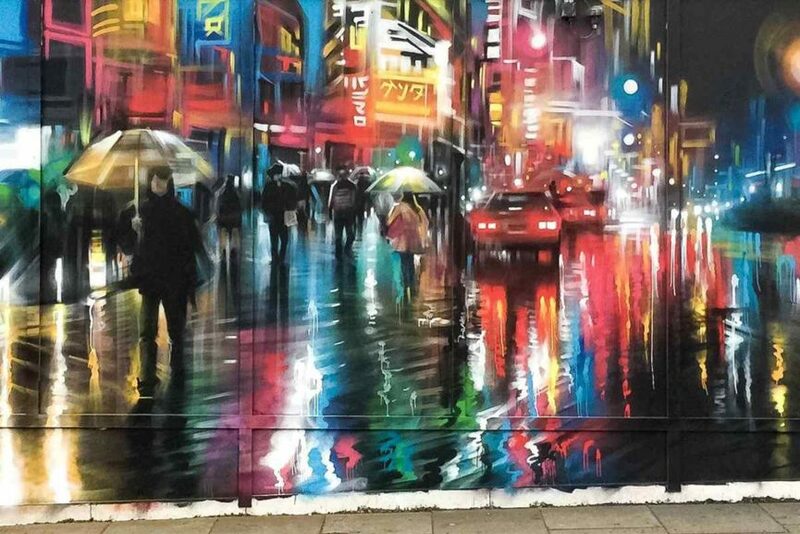 Another week has gone by, and before we even know it the time comes for us to take a look at some new murals. But before we do that, it sounds like a good idea to quickly remind ourselves of some latest events and hot topics. 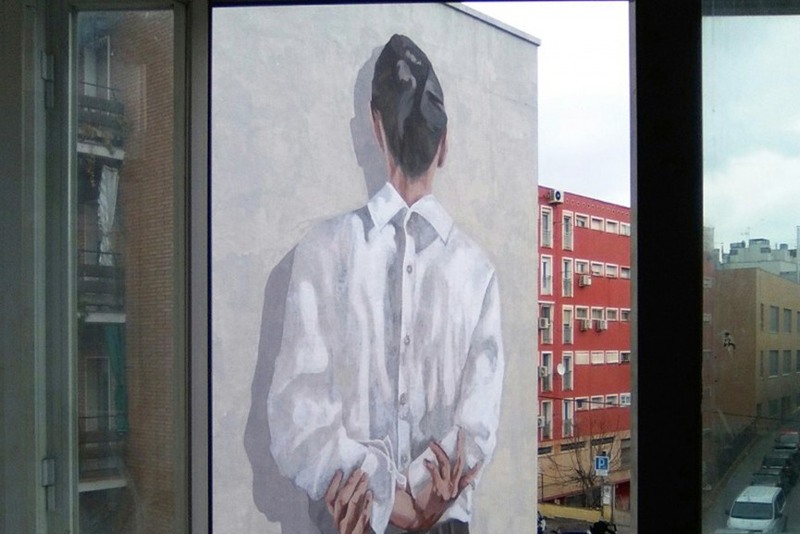 Apparently, we can’t get enough of stories related to women in art these days, especially when it comes to street art. 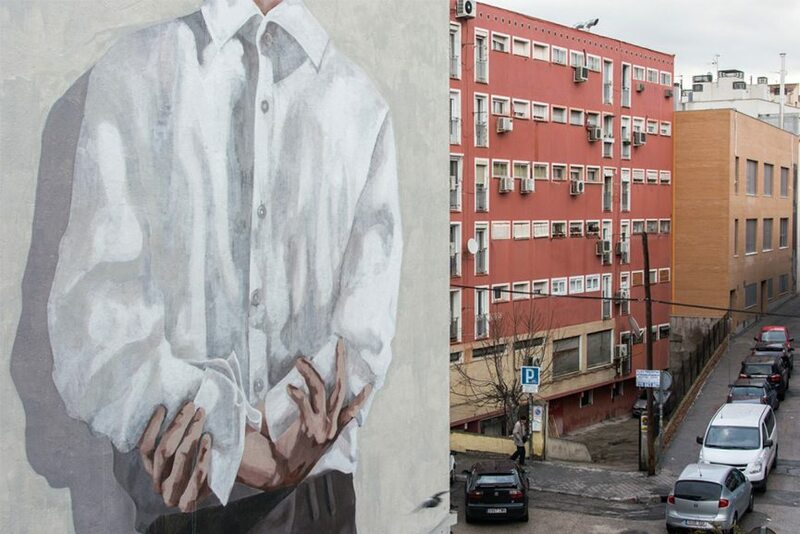 Some beautiful and thought-provoking subjects were brought up on Widewalls, and one of the latest ones is a story about a group of female street artists from Brazil, who became a symbol of fight against violence. The story becomes even more moving once we find out how little it takes for people to fall in love with the wonderful, expressive and unifying medium of art. As for the interesting events that you should not miss, we suggest you take a look at our article about POW! WOW! 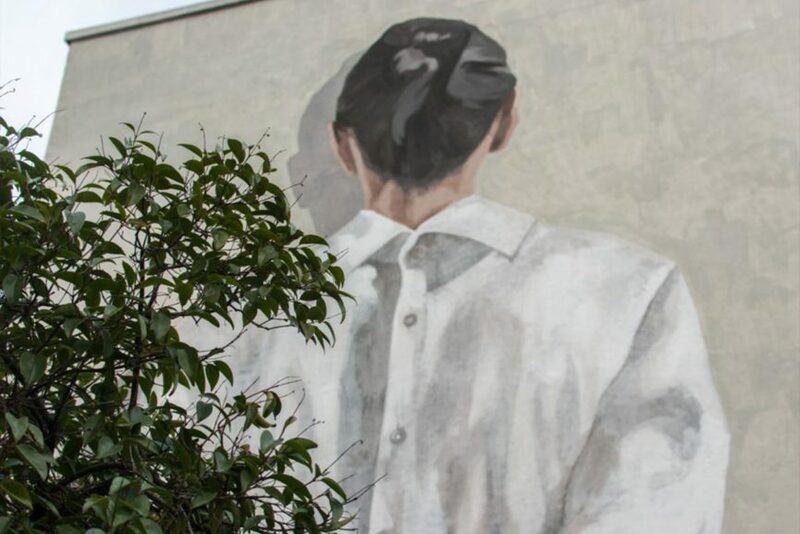 Hawaii, and find out more about this promising festival, where you’ll have a chance to look at some wonderful art pieces, and listen to some music as well (and needless to say, to visit Hawaii). 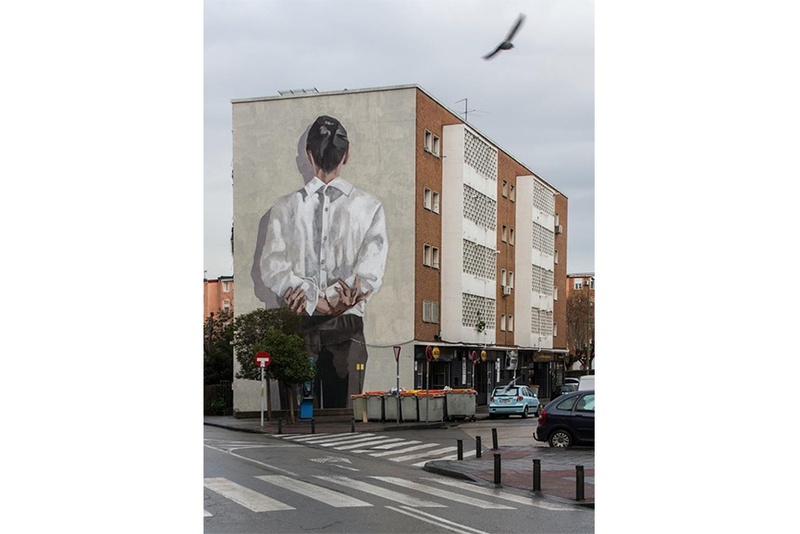 We also have two interesting solo shows coming up in Italy, one is in Rome, and it relates to Pixel Pancho’s robotic creatures, and the other one is Shepard Fairey’s exciting upcoming exhibition in Turin. 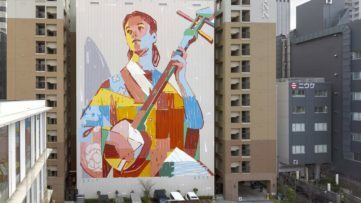 To see the best murals of the past week, scroll down, and make sure to visit our page on facebook! 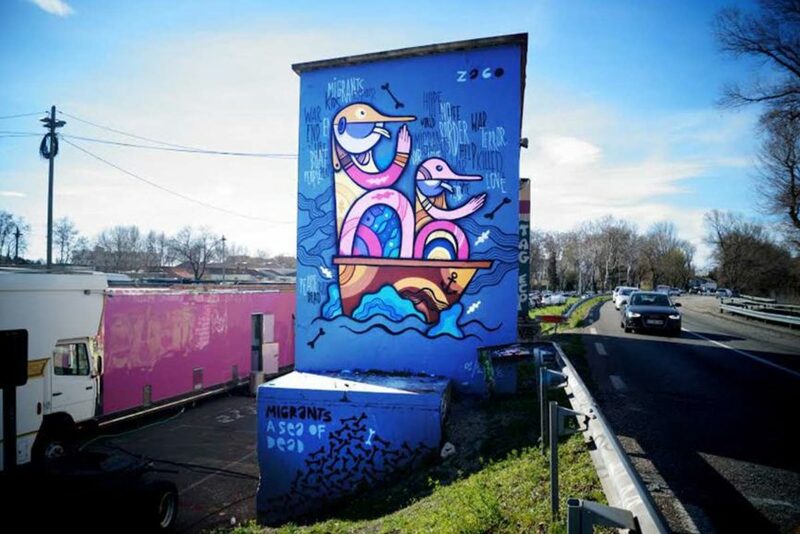 Pablito Zago made a colorful, inspirational mural in his hometown Avignon, but behind the beauty of the color and the illustrative shape lies an important message, designed to raise awareness. 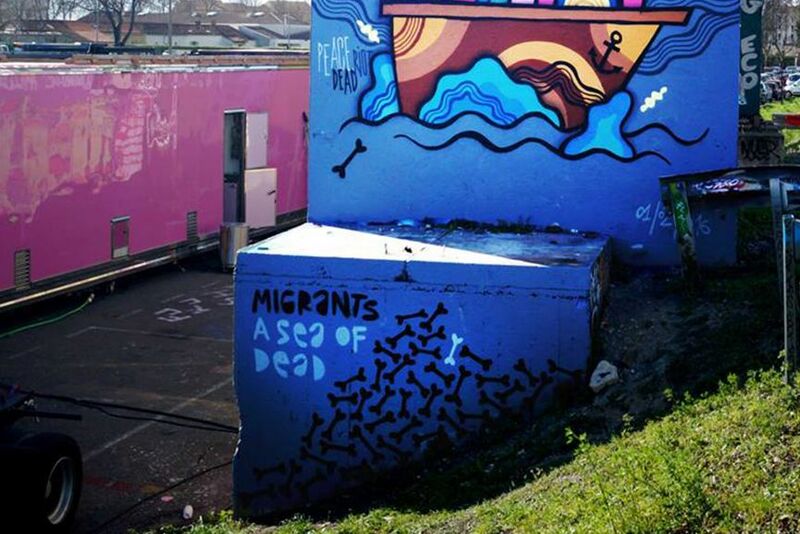 The name of this mural is Migrants / A Sea of Dead, and it reminds us that we should not forget the horrors that were happening, and still continue to happen to a huge amount of people who were forced to emigrate from their home countries. 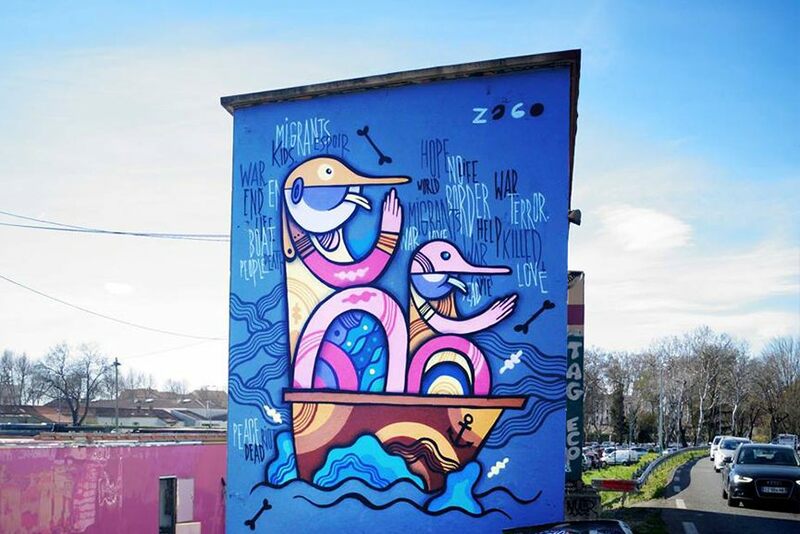 The cartoon-like reality that Zago makes should put the story into a bit lighter context, but it doesn’t draw the attention away from the point. 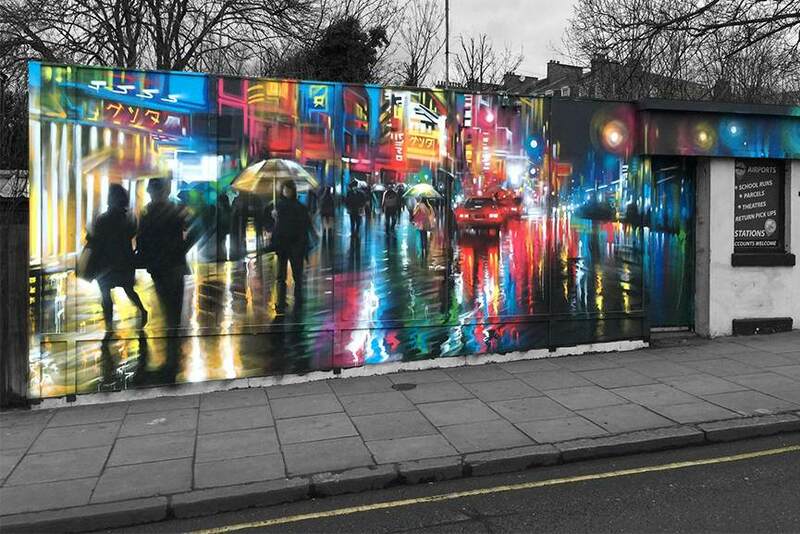 Image via Dan Kitchener (DANK). 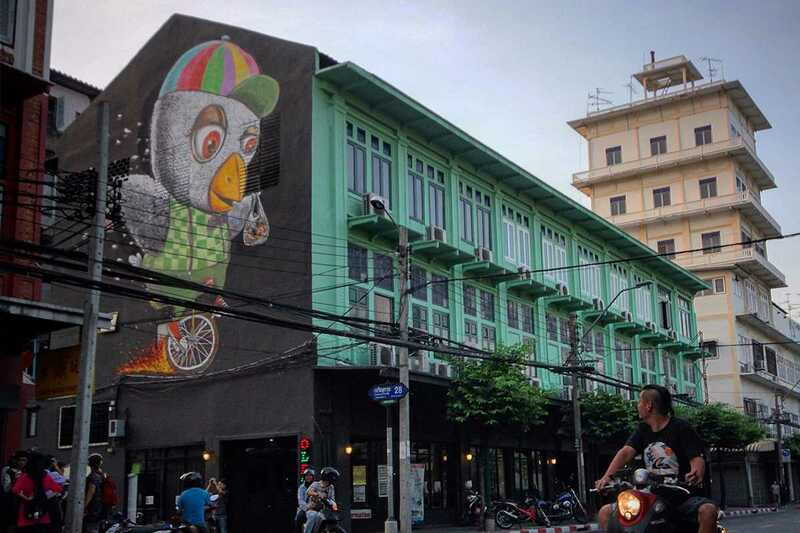 Along with AMP and Alexface, Mue Bon is one of Thailand’s top street artists. 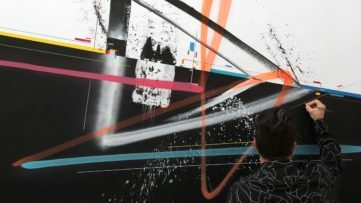 Ever since he graduated as a fine artist in 2005, he has been steadily emerging as an artist, in Asia at first, and now he is becoming famous worldwide. 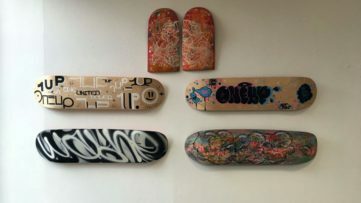 Apart from being skilled in using spray paint on the streets, he has the ability to translate his street work into vibrant gallery paintings, sculptures, and even spatial installations. 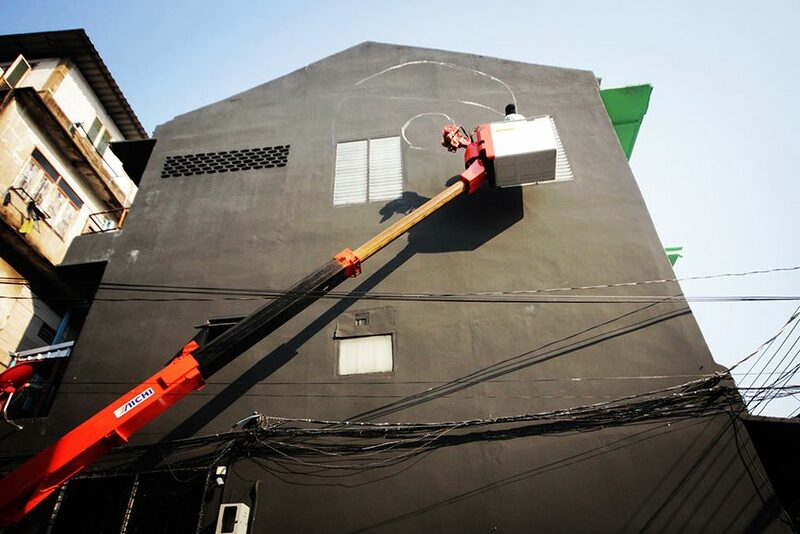 His new mural is made on the side wall of an old town hostel in Bangkok. Lately he has been drawing his signature birdies everywhere, and this one definitely caught our attention. Images via Mue Bon‘s facebook page. 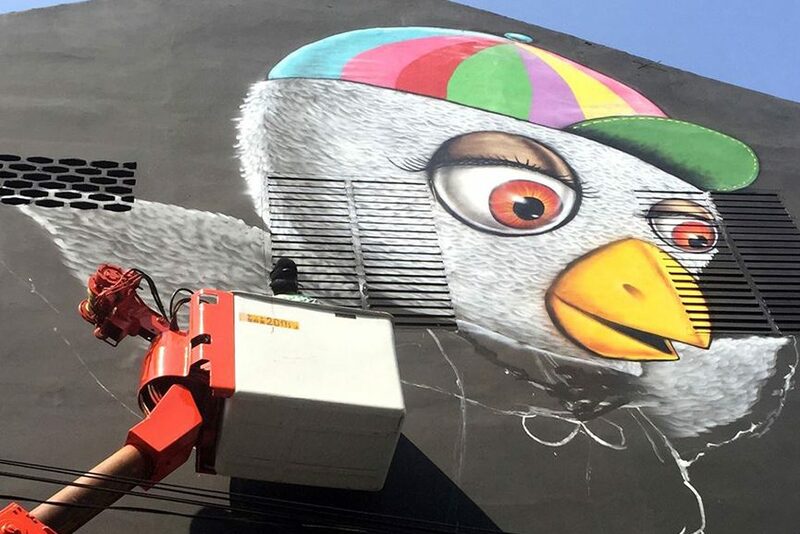 DFace‘s new wall art is made for a motorcycle shop from London. This piece was promoted by the legendary Martha Cooper, who took a photo of the artist during a coffee break that he was having. 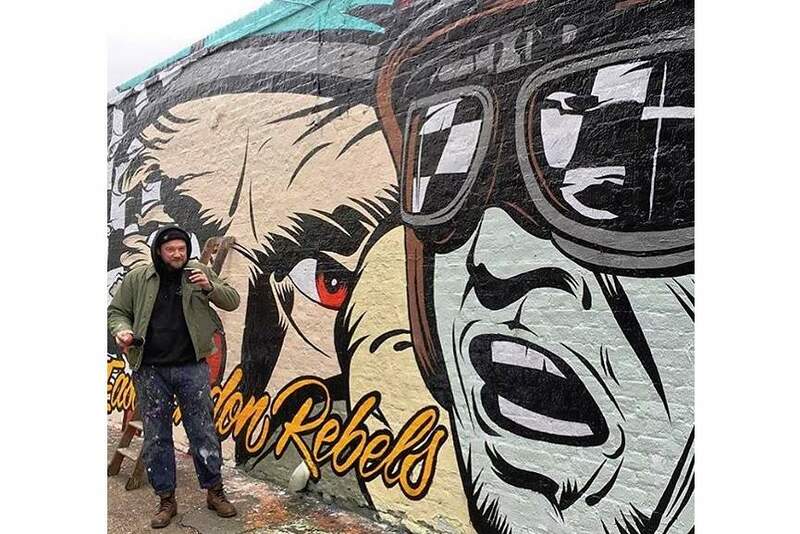 The name of the shop is Rebels Alliance, and the mural illustrates the atmosphere of the shop and their field of interest. 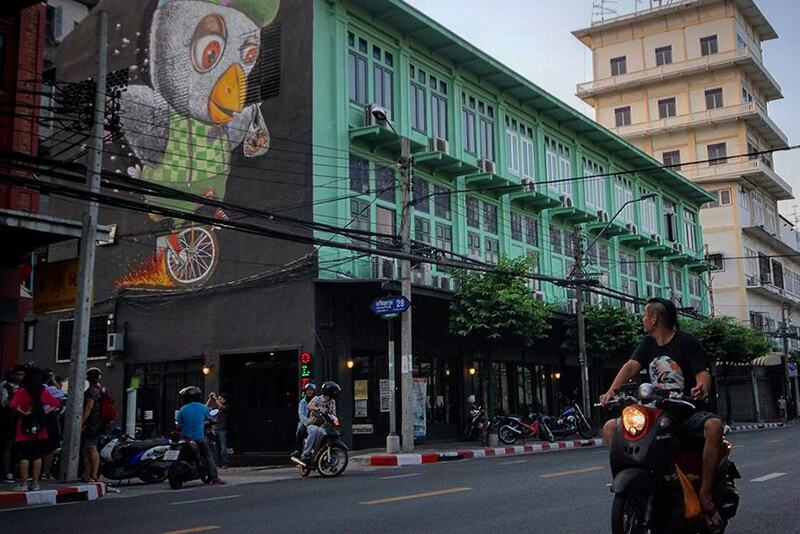 The mural is made completely in his “pop-infected” style, that in this case suits the rock style of a motorbike shop. 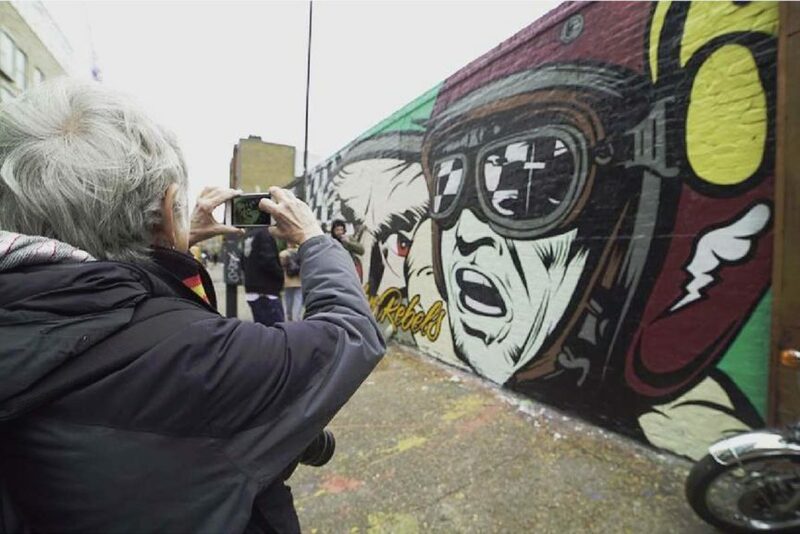 Martha Cooper’s comment was equally funny and descriptive: “DFace pauses for a coffee break outside his new Rebels Alliance motorcycle shop which actually combines great coffee with serious cycle sexiness”.